Faults, Fixes and DIY Please share your experience and knowledge with other members by contributing your own DIY, or by helping another member find the elusive fix! I would remove the VANOS. You don't have to but you might as well get it out of the way and focus on getting cams/crank back into correct position. Don't force anything, if can't rotate crank, a valve is probably hitting a piston. Rotate crank from TDC counter clockwise ~30°-40°. This position is pistons clear, you can freely rotate cams without valves hitting pistons. See pic below, I have this position marked in silver on my harmonic balancer. You can look at the cam lobes to figure out which valves are open. You can also drop a long screwdriver down the spark plug hole to figure out piston location (at TDC pistons 1 and 6 are up). Once cams are in correct position, rotate crank clockwise back to TDC. No valves should hit. Follow beisan instructions to re-install VANOS and time engine. Did this, now VANOS won’t go back on. It get to this point but the spline shafts won’t press into the hubs. They went in fine when I rechecked my sweet spots but now they won’t go in when the splines are pressed all the way into the VANOS. If I extend the pistons enough it will go in, but they need to be pressed all the way in according to the instructions. I’ve tried moving the cams and reinstalling, but no go. I’m not sure what’s changed since the last time, all timing is good. You have to finesse the oil pump disc and tabs into the holes, the splines and the hubs turning a bit at the beginning if it wont go in from the position you have in your picture, (from full cw of the hubs, you have to turn them slightly by hand ccw once the splines start mating). I have a 06 Z4 M with 45,500 miles. I have no VANOS issues, however I am changing the VANOS sealing plate O-rings, Teflon seals, cam sprocket bolts as well as the oil pump disc. I have the crank at TDC and it looks like my exhaust cam is off by one tooth. The car drives fine. Has anyone seen this before? To correct the cam, I imagine I can move the cam when I change the cam sprocket bolts, as the sprocket can be removed from the cam. I am wondering if, as long as I don’t change the position of the spline shafts relative to the cam, I should be okay, right? To really know if the exhaust cam is off, you have to make sure that it is indeed fully retarded. They are often very hard to move. If you can remove the end cap off the vanos, you can see the position of the piston. If it is fully retarded, then it will be flush. If not, keep trying to retard it with the 24 mm wrench. 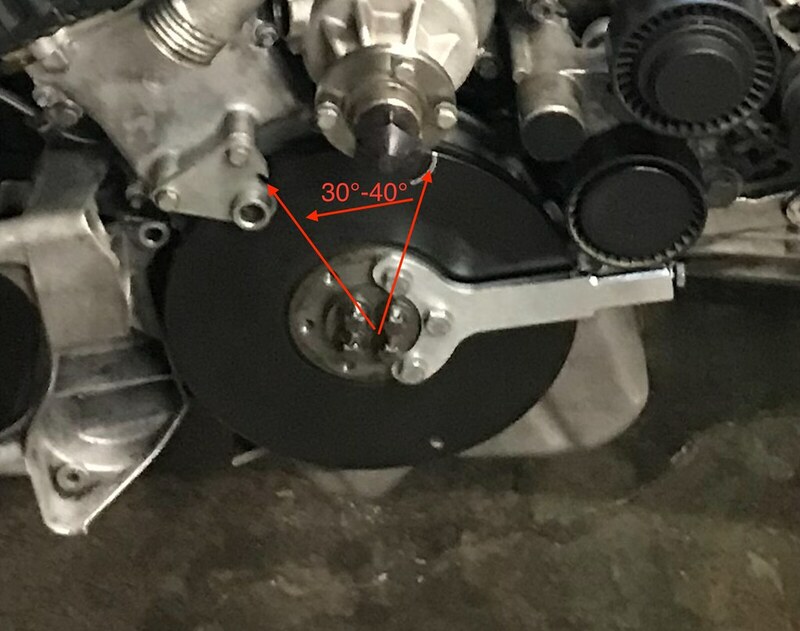 When removing the vanos, you really don't care where timing is, you just need the cams as retarded as possible to be able to remove disconnect the splined shafts from the pistons. Okay, I removed the VANOS and grabbed the 24mm wrench and the cam moved now they are both lined up. I needed to remove the VANOS to get the cams to move individually, thanks ThunderMouse. All times are GMT. The time now is 08:25:08 PM.